It’s crunch time in South Sudan. 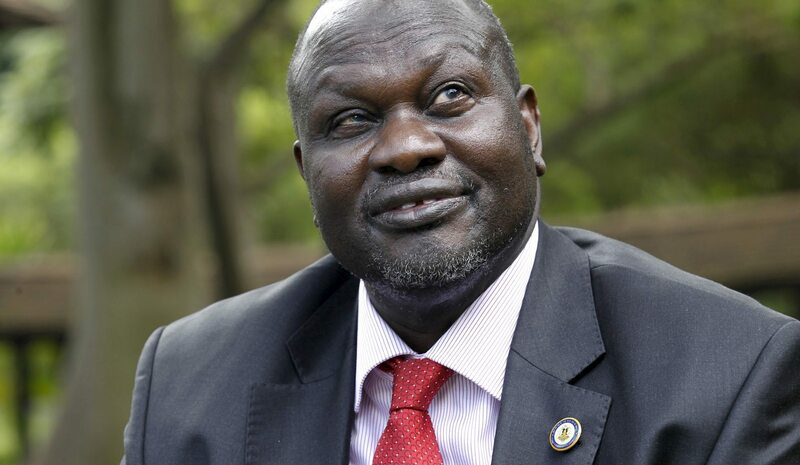 With the peace deal straining at the seems, and rebel leader Riek Machar due to take his place in the capital, the situation on the ground remains tense. International mediators will have to maintain a united front if they are going to keep the warring parties in check. By Casie Copeland for the INTERNATIONAL CRISIS GROUP. In the heat of the dry season, Juba waits, knowing big things are on the horizon. After two years in the bush, a handful of Sudan People’s Liberation Movement/Army-In Opposition (SPLM/A-IO) officials are back in town, though their leader, Riek Machar, and his forces are absent. Economic crisis permeates every facet of daily life, with relief in sight only if Machar returns and a deal is made with old adversaries in Sudan. Questions about war and peace mingle with the urgent task of daily survival in a capital that has tried hard to return to normal after the targeted ethnic killings of December 2013. At least 27,000 civilians still do not feel safe enough to leave camps the UN protects. The institutions charged with overseeing the agreement, principally the Joint Monitoring and Evaluation Commission (JMEC), which reports to the IGAD Heads of State – in this case the core quartet of Ethiopia, Uganda, Sudan and Kenya – are in equally poor shape. JMEC’s membership is diverse, including, among others, the warring parties, civilian political opposition, IGAD member states, UN, African Union (AU), Troika (US, UK and Norway), and China. Its chair is the former Botswanan President Festus Mogae, whose deputy is ex-Guinean Prime Minister François Fall, both deliberately chosen from outside a region whose deep and competing equities in South Sudan continue to generate controversy, even when it comes to JMEC staffing and leadership roles. The risks facing South Sudan’s peace process are made worse by the danger of losing its regional anchor. The IGAD quartet’s domestic distractions and some minor bilateral spats have caused JMEC to flounder, with large external players – primarily the Troika and especially the US and China, the latter providing practical incentives – stepping in to keep up the momentum. Though welcome, the backstopping threatens the same fate for this agreement as the 2005 IGAD-brokered Comprehensive Peace Agreement between Sudan and the then Sudan People’s Liberation Movement/Army (SPLM/A), which ultimately lead to South Sudan’s independence. Then the region took a backseat to the Troika and UN for much of the implementation, many of whose provisions fell by the wayside, laying the groundwork for the conflicts in South Kordofan and Blue Nile; the ongoing dispute over Abyei’s status (and a UN peacekeeping mission of its own); and the failure to meaningfully transform the leadership in Khartoum or the SPLM/A. Photo: South Sudan’s rebel leader Riek Machar poses during an interview with Reuters in Kenya’s capital Nairobi July 8, 2015. REUTERS/Thomas Mukoya.